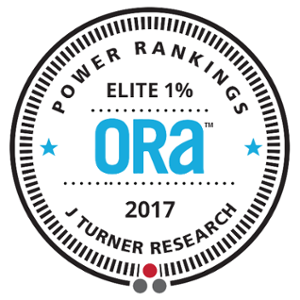 Elite 1% Ranking & 2017 Top Rated Community! We'd love your feedback! Please take a moment to share your experience of our apartment community and write a review. Be sure to visit Apartment Ratings and read our reviews on Google also. I'm very happy here at The Arlington, the staff is extremely friendly and the property is nice. The apartments look new with only some minor quirks here and there. Parking is easy and everyone usually parks in the same spot with extra spots around. The half court for basketball is nice and the gym is a bonus. I wish the machines were newer better maintained but it's not bad. The prices are fairly reasonable, you get what you pay for. Definitely would recommend The Arlington to anyone looking for a place in the Spanish Fort Malbis area. You would be hard-pressed to find anything nicer. If you have children DO NOT live on 2nd floor Down stairs neighbors were constantly banging on the ceiling due to kids moving around above them. Nice place to live an quiet. Country feel as well. My wife and I have now lived here for 10 months and couldn t be more happy. The standouts for us are the location, staff and quality of the complex and units. The location is perfect...outside the busy Mobile city, and right next to everything you need. Publix across the street, small simple mall 1,000 yards away, and all the shops and food places you can think of within miles. Is quiet, not busy at all, and very easy to access. The staff has been amazing to us. Friendly from the front office to the maintenance men. We have had several small maintenance issues with our place, brought it to their attention, and it s typically immediately fixed. Maintenance staff is great and prompt to fix whatever problem you have. We also had a younger neighbor move in across from us that was very loud and obnoxious on their patio past midnight on workdays. We let the staff know about the issue, and they did their thing, talked to the neighbor, and it was never an issue again. I would definitely recommend the Arlington to anyone looking for an apartment in this area. Great apartment, great staff, great community! Great apartment, great staff, great community! Amazing prices for the location. Very spacious layouts and extremely quiet neighbors. Plenty of parking, too. Big shout out to the office! They re the best, most friendly people! Compared to other apartment complexes, the Arlington is excellent. The design of the buildings is pretty good at minimizing noise between units. Well maintained and extremely courteous staff. A for taking care of tenants. Leaving this review in regards to my situation tonight.. Arrived home on a Sunday night at about 9:00 PM after 4 days out of town. Temperature was 88 degrees in the apartment. Quickly called the emergency number given to me in my welcome folder. Left a message. No more than 2 minutes later, I had a return call. Obviously asleep, the man got up and said he would be here in 20 minutes. 20 minutes, Buck was here. Quickly fixed the problem and was gone in about 15 minutes. All completed before 10PM. So pleasantly surprised! Hats off to you, Mr. Buck and The Arlington! I love the location, the home style look of the apartment, and the staff friendliness. Fantastic Apartment. Property staff is very professional and helpful. I can't recommend this community enough. I loved living at the Arlington the past 5 years. It s a beautiful community with a great staff and amenities. If I get to move back to the eastern shore, the Arlington will be my home again. Live here for four plus years. The office staff to maintenance dept is great. Very professional and fast with service request. I ve lived at The Arlington Eastern Shore for approximately 4 years. The staff is phenomenal. They are very quick when responding to any situation you may have. Both the office and maintenance staff are Awesome! The Best place to live on the Eastern Shore! Upscale living for sure! Quiet neighborhood and management is professional and excellent! Move in process was made very easy! I m glad we decided to move here! High class environment. Everything is in walking distance very quiet and peaceful. Amazing living space. Great staff and the property is kept in top condition. A great family atmosphere and the staff really goes out of their way to interact with residents. We ve been living a The Arlington at Eastern Shore for couple years now, and we are very happy here. We looked around before deciding on where to live when we moved in the area, and this was our first pick. The staff is amazing, and the environment around the property is filled with life (trees, birds, turtles (in the pond). Nice walking paths and pool area. It is close by many stores, restaurants, a movie theatre, pharmacies, schools, churches, etc. Close proximity to Highway 10 which is very handy too. A great place to live in Spanish Fort! It has been a pleasure living in this community. All aspect are positives, since the internal services, like required maintenances, passing for the cleanness and finally the management. Arlington of Eastern Shore is a wonderful place to live! Arlington of Eastern Shore is a wonderful place to live! Our apartment is very clean and spacious. The staff is wonderful and very helpful! This is a wonderful place to live! Awesome choice for apartment living in Spanish Fort! The community is very quiet and the residents are extreme friendly. The staff are always helpful, and courteous to you and pride themselves on establishing a good rapport with their tenants. A great place to call home! Love living here-location apt..... All great nice people!!!!! Quiet community. Lots of parking. Love the valet trash service! Great quiet place to stay. Friendly staff that actually know your name. Convenient location!! I m pleased with the amenities. The clubhouse, pool, weight room, and indoor basketball facility are my favorites. The Arlington at Eastern Shore s locale is fantastic! It s close to shopping, schools, churches, I-10, main highways, and my job! It is also quiet and peaceful. The Arlington at Eastern Shore has proven to be a GREAT pick for us. It s always clean and kept really well. And we could move our canine kids in with us! Conveniently located behind the mall makes it a nice walking place. The staff is extremely helpful and friendly. We LIKE it here. Love living at Arlington! ! Such A Wonderful Place To Live! Great property with great staff. Plus, you can t beat the pool! Great place to live. Grounds are beautiful and staff is excellent. The Arlington has the best atmosphere in the area. Comfortable and convenient. True respect and response to their tenants. We ve been living at the Arlington for nearly 7 years now. Obviously we wouldn t be here that long if this wasn t a great place to call home. The community is peaceful and well kept. The staff is friendly and helpful. Any issues that come up are addressed quickly and professionally. The close proximity to I-10 makes it perfect for my commute to work. The Eastern Shore Center with all it s shops, restaurants and the Premiere Cinema are right in our backyard. If your a golfer like me there are 4 great courses within 20 minutes of the community. Can t beat it! I love my apartment! Everything is with-in walking distance. I absolutely love the staff, and they ve always treated me like family. It s a wonderful place to live and I recommend it to anyone who wants to move to the area! P.s. Stella is the best neighbor. p.s.s. Stella said to say that. Everything seems very planned out and comfortable. The grounds and interiors are well taken care of and don't look or feel cheap. Arlington has an honest and sincere vibe of respect for its residence. Very nice apartment living. Very well manicured grounds, large salt water pool, gym and very convenient to grocery and shopping mall. My family lived here for almost 6 years and loved every minute of it. The people are wonderful and the apartments are in excellent condition. We had plenty of room for our family of 5! Hated to leave the community but we had to relocate out of state for my husband s job. Can t say enough good things about the staff, location, and amenities/community. Literally the best apartment homes in Baldwin County!! Literally the best apartment homes in Baldwin County!! Everyone here is super nice, the complex is clean and quiet! I feel like VIP when I use the amenities and get excited every time I pull up to my unit! To top it off the staff are fantastic!! Nice facilities, comfortable apartments. Very convenient for Eastern Shore shopping but in a quiet neighborhood. Management staff are courteous and friendly. The staff at The Arlington at Eastern Shore was professional and competent, as well as cordial, in facilitating my recent move. The apartment was spotless when I arrived, and it was evident that everything was professionally cleaned and checked for proper working order. The grounds are well maintained, parking is plentiful and the atmosphere is quiet. The location is within walking distance of the Eastern Shore Centre which includes major department stores, many specialty shops, a major book store, a cinema and numerous dining opportunities. Interstate 10 is less than a mile away with easy access to Mobile and Pensacola. The staff at The Arlington at Eastern Shore were competent and professional, as well as cordial, in assisting me in the lease of a one bedroom unit recently. The apartment was spotlessly clean and everything was working properly. It was clear that a great deal of care was put into the job of preparing the apartment. The grounds and common areas are well maintained, and parking is plentiful. It is quiet and peaceful, and the location is close to Interstate 10 and a extensive choice of restaurants and shopping. My only complaint would be that I occasionally have to park a little further from my front door than I would like but if in being real, I can't even complain about that 99 of the time. Arlington is an excellent place to live. Everyone is very friendly and the grounds are kept very clean. The staff is also amazing and is there to help with anything you need. I enjoying wonderful days here in the Arlington.